The Afro hairstyle started out as a political statement of pride for African-Americans in the 1970s. 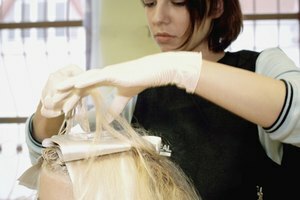 It has evolved and can still be considered a modern hairstyle today. Both men and women sport Afros with ease. Women often style the Afro with small puffs or add clips to change it up a bit. 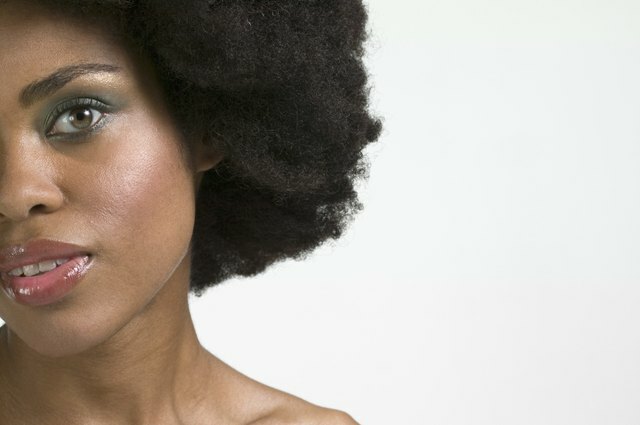 If your hair looks a bit dry, give your curly Afro the wet look using a few different techniques and styling products. Wrap your hair with a satin scarf. Cover as much hair as possible. Tie a loose knot at the back of your head. Leave the scarf on the hair for 15 minutes. Remove your scarf and apply hair gel to 2-inch sections of hair. Start at the back of the head. Use your fingers to apply approximately a pea-sized amount of gel to each section of the hair. Continue doing this until you have applied gel to all of your hair. Mix together two parts sweet almond oil and one part essential oil, such as lavender. Put it in a small spray bottle. Make sure to shake the mixture before using it. Spray the afro two or three times. The mixture will make the hair glisten. 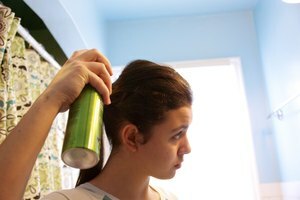 Do this once or twice during the day if your hair starts to lose the wet look. If you have a tight curl, use a strong-hold hair gel. If you have a looser curl, use a medium-hold gel.